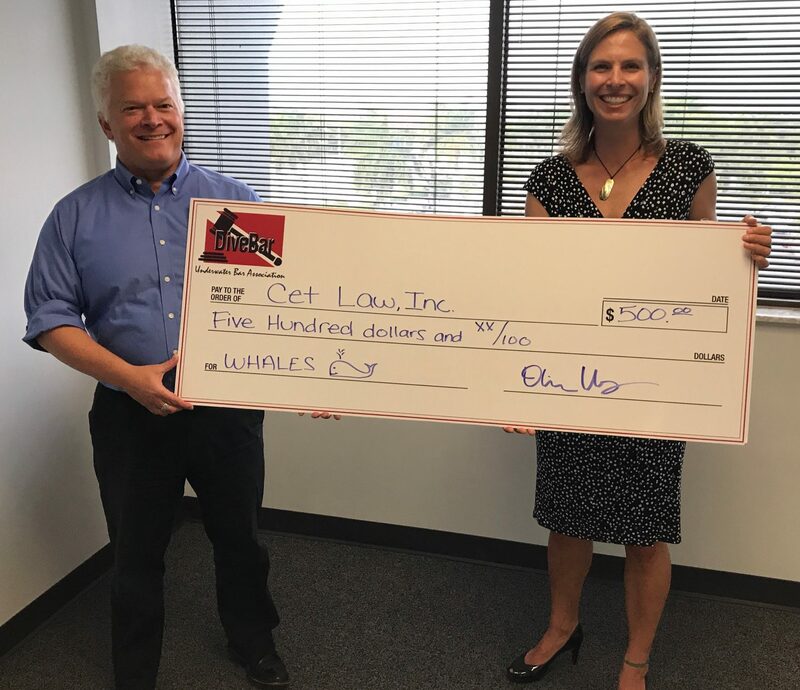 Cet Law was thrilled to take this HUGE check to the bank for the whales! We would like to thank the Dive Bar and its passionate members for supporting the efforts of Cet Law and other organizations to protect our ocean ecosystems and the animals living in it. Are you an attorney who likes to dive? Become a member of the Dive Bar, the most exciting Bar Association in the country! Thank you!